All bets are off! Probably you could say that looking at the constantly evolving technology and battle among companies to gain their stand and stature in the global app market. Reports suggest that it is almost going to reach $80 billion by 2020 and in such a scenario, who wouldn’t want to expand by marking their presence. For companies, industries and organizations to grow their feet in their own respective segments by developing their app, it is quite imperative for them to keep an eye for details. There are many aspects that a major role when it comes to building your business app. The key point that will grab your attention is not only the features and functionalities should be the core focus while developing the app but also in order for your app to be successful you’ll need to pay attention to make sure that it is user-centric, user-friendly, targeting the customer’s needs, solving a problem by providing specific product and/or services, etc. You will have a broad understand upon reading further, however, you can also go through a professional MacOS app development company to get insights about app development by hiring Mac OS app developers. Let’s dig deep into what are the things to be avoided while working on your mobile app development project. We have also drafted a few pointers especially through the perspective of a top mobile app development company for a broader understanding. 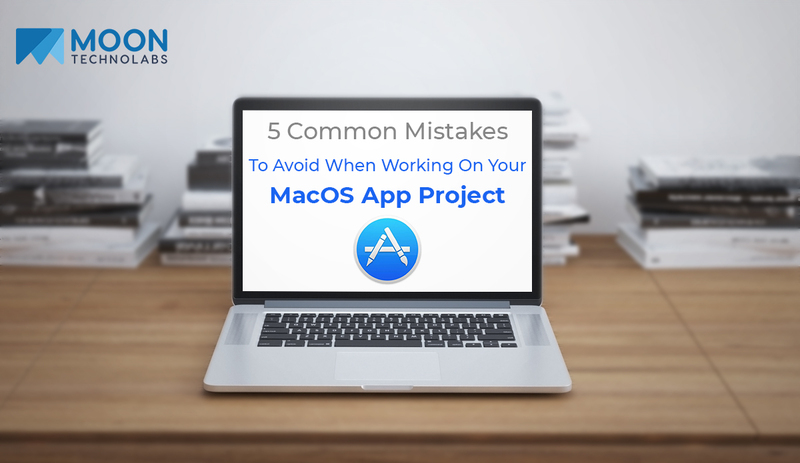 Well, some of them are general while others are specific in a niche to keep in mind with respect to your Mac OS app development. Mobile apps are meant to enhance customer experience one level beyond than their website. But at the same time, businesses need to be aware of not including all features to make your app look fully packed. Keeping only necessary ones will also ensure the app to be more user-friendly and seamless in operation for users. It is one of the prominent reason for a company to first understand and establish the purpose that the app is going to solve. Surveying about the app implications and certain feedback on the same will help you to focus on deriving the strategy behind your app. For e.g, you can check whether such kind of app already exists and is it missing the feature that you have in mind or you just want your app to engage with your audience? Doing rigorous testing of your app before launch is certainly going to benefit your business in terms of building a brand over time as your app will be the face value of your company for your users to primarily engage with your product, services, etc. Performing rigorous testing to ensure that your app is fully functional without any kind of glitch or errors is certainly going to impress users and help in leaving a positive brand growth. For a new app, of course, the unsaid attention will always be on getting more downloads and acquiring a new customer base. However, it is also important to keep the focus on the retention rate. With tracking features, you need to collect data of users not using the app again. Only the repeated use of app can guarantee its success in the market. The company needs to focus on the drop-off point in the process between download and usage to pinpoint and divert effort on retention. Before beginning with anything, it is certain that you need to do brainstorming about your app idea. Answering some questions will help you to narrow it down such as, why are you doing this, what is the purpose of your app, who is your target audience, why would your customer use this app, what are their habits if using any such apps currently…all these questions are very important to ask and figure out to determine the value. Moon Technolabs is one such top Mac OS mobile app development company to undertake your project for app development. Being at the paramount of the mobile app industry sector with over a decade of experience in not only creating the app but also by providing cutting-edge solution pertaining to a website and mobile app development. Quality, SLA and there are many other parameters on which our primary focus remains to deliver exceptional results. You can hire MacOS app developers at a pocket-friendly price that is surely going to fall within your budget.